It’s Maulana Malik here and i’m back with another “customer only” freebie. Have you ever heard about flat UI design? 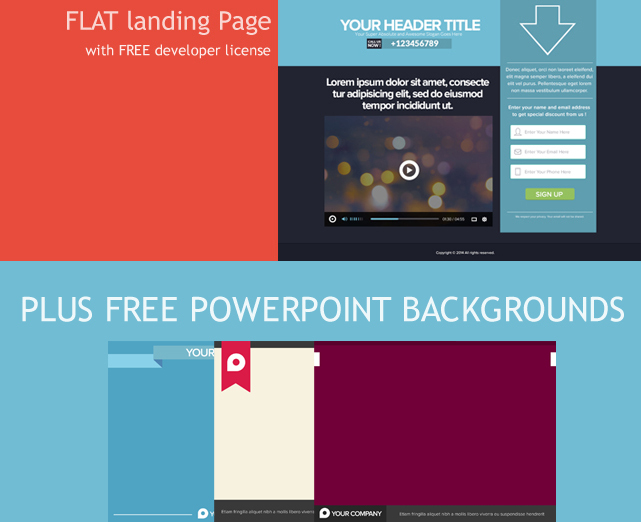 And today’s Freebie is : FLAT design Marketing Kit! P.S : last but not least, happy ramadhan to all of you who celebrate! Salaam Maulana. Thanks for all the gifts you serve us with as your subscribers. Ramadhan Mubaarak. Taqabalallah minnaa wa minkum insha Allah. Once again, thank you Maulana for the free stuffs. Always great freebies and great products. I’ve bought a few of your packages and am always pleased with the quality, and amount you give us for a very low price. Open your emails everytime because of this. Thanks a lot and keep them coming. Can never have too many great looking graphics in my web designs. Just wanted to say “Thank you very much!” and would like to echo what Morris Murphy said. I apologize, I spoke too soon, I’m seeing the free content, thanks!